This iconic (and tiny) fashion trend will be all over your office this summer The 3 components of successfully using humor in the workplace The science of happiness and effective teams The downside of having attractive coworkers If your coworker does this when they speak, they may be a psychopath That bad restaurant review you read on Yelp may have been influenced by this odd thing 3 key things to ace the interview according to an expert Emotional intelligence: what is it and how can you improve yours? The 3 components of successfully using humor in the workplace 11 tips to help you move on from a job rejection How to get smarter every day 7 signs that you’re actually a problem employee This iconic (and tiny) fashion trend will be all over your office this summer 3 key things to ace the interview according to an expert That bad restaurant review you read on Yelp may have been influenced by this odd thing Emotional intelligence: what is it and how can you improve yours? The Market Fixed Operations Director (Service and Parts) acts under the authority of the Region Vice President of Fixed Operations (Service and Parts) and is responsible for the effective operation of all service & parts departments within the assigned Market. The primary focus of this role is to ensure business growth and improve the customer and associate experience. 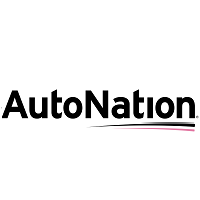 The Market Fixed Operations Director is responsible for directing the appropriate resources to most effectively implement, sustain, and ensure compliance with all AutoNation core processes. The Market Fixed Operations Director is accountable for the financial performance, customer satisfaction, marketing, manufacturer relations, staffing, and overall coordination of the service & parts activities within the region. Provide quantitative/qualitative analysis of service & parts operations performance (financial, CSI, warranty trends, inventory performance, facility utilization). Direct specific actions/accountability to address any out-of-line conditions or to capitalize on opportunities by priority. Assist Service and Parts Managers & GM’s in development of and follow-up on “results oriented” business unit action plans. Champion AutoNation initiatives within the region (assess, train, implement, certify, etc.,). Business unit interaction through in-store visits, telephone, and written correspondences. Provide feedback to the market, regional and corporate staff based on the contacts. Involvement in and coordination of collective marketing efforts. Monitor morale & advise leadership of the region on appropriate courses of action. Develop succession plan within the region for continuous service & parts operations development. Oversight of the collective recruiting, selection, and staffing of store fixed operations in the region. Recruit, develop, and inspire high performing teams. Evaluate and coordinate training initiatives / recognition and team building. Participate in the annual budget preparation and validation with quantifiable data and initiatives. Compliance and reporting of any activity that would expose the corporation to avoidable risk. Effective leadership of assigned staff / coordinate external resources. 5 to 8 years Automotive Service and Parts leadership or equivalent experience (store level and multi-unit level). Prior managerial accounting & P/L responsibility. Reside or willing to relocate to primary region of responsibility. Industry knowledge (operations, management, insurer relations, etc.,). Ability to analyze and interpret financial operating reports. Experience in service, parts, and/or collision business operations. Current in industry trends, process, and procedures. Exposure to advanced production principles. Demonstrated communications skills, both written and oral. Demonstrated project management, presentation, and training skills.